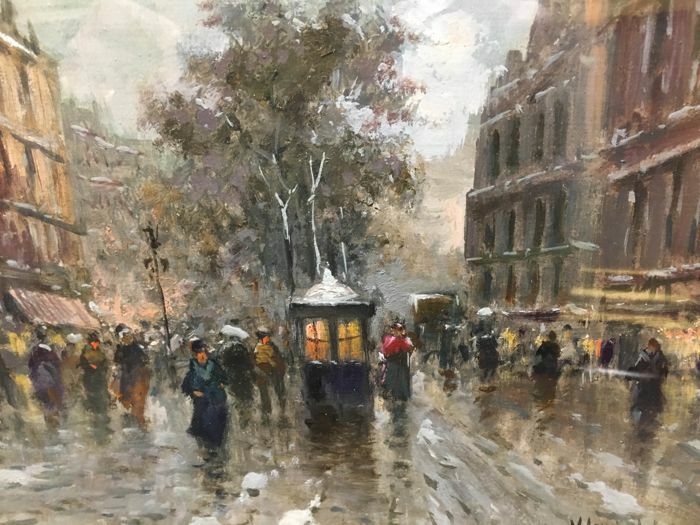 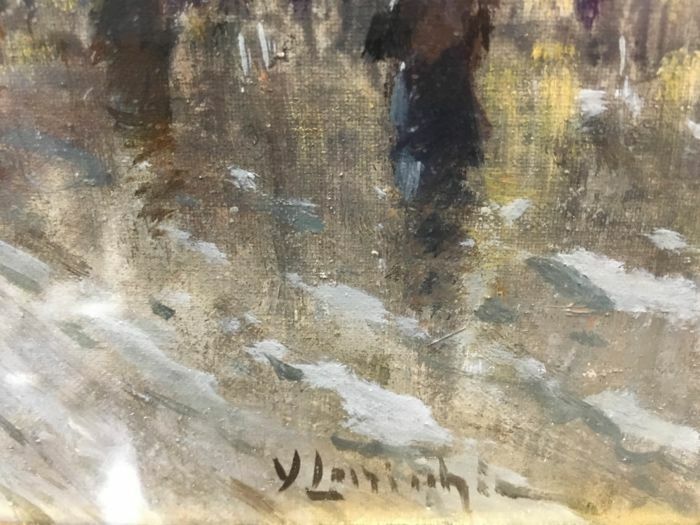 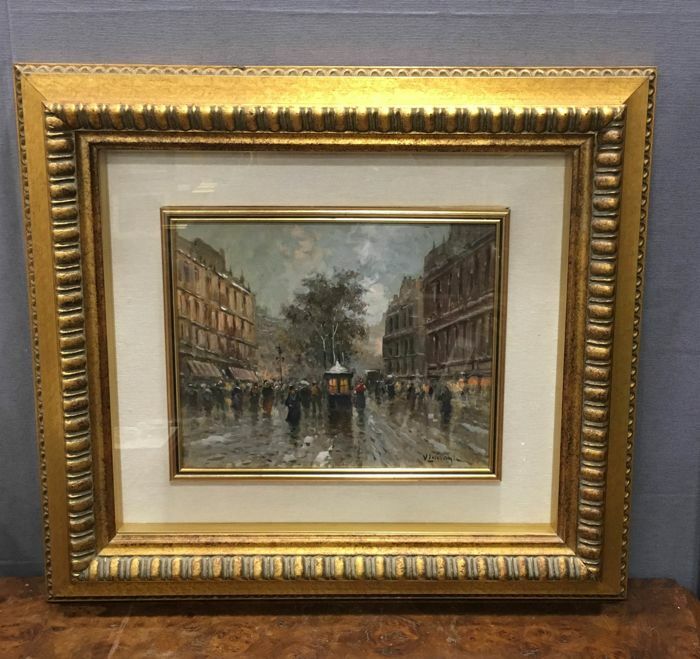 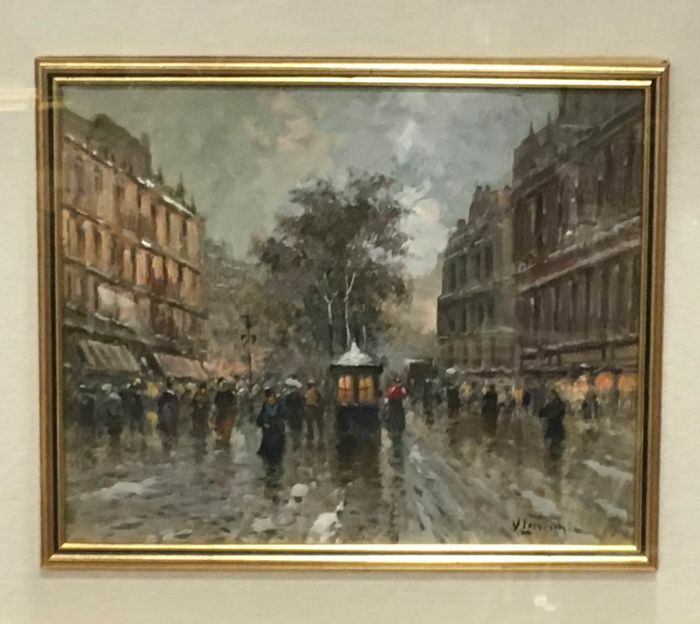 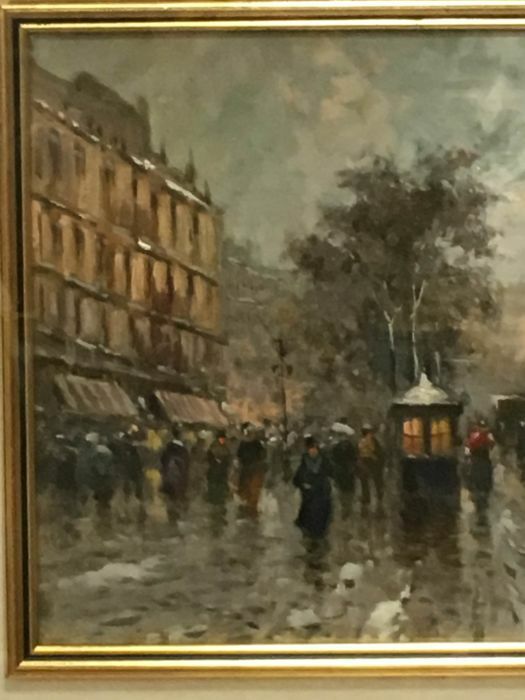 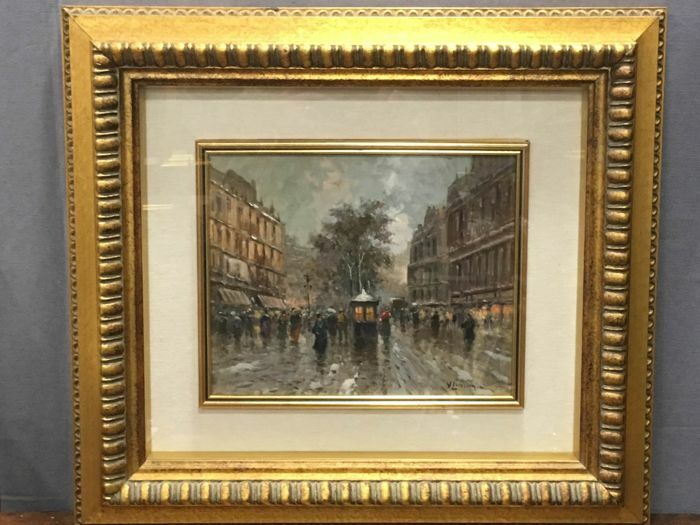 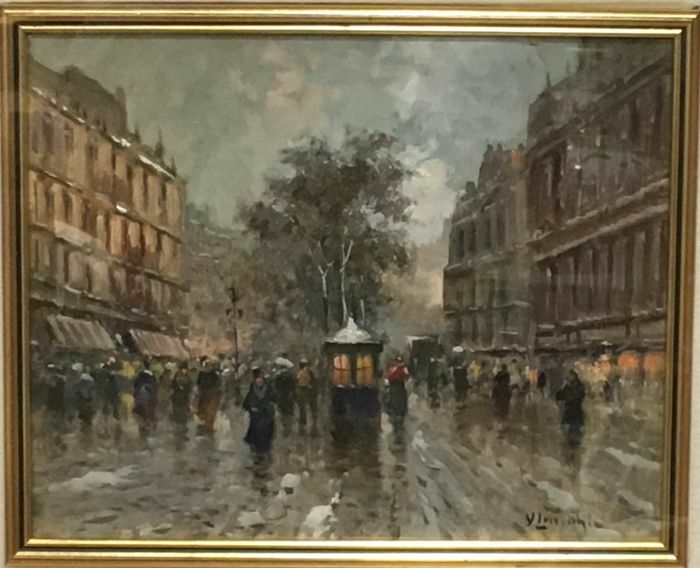 Oil painting on canvas by the master Vincenzo Laricchia, of great quality and depicting a typical Parisian street scene in the manner of the Impressionists. 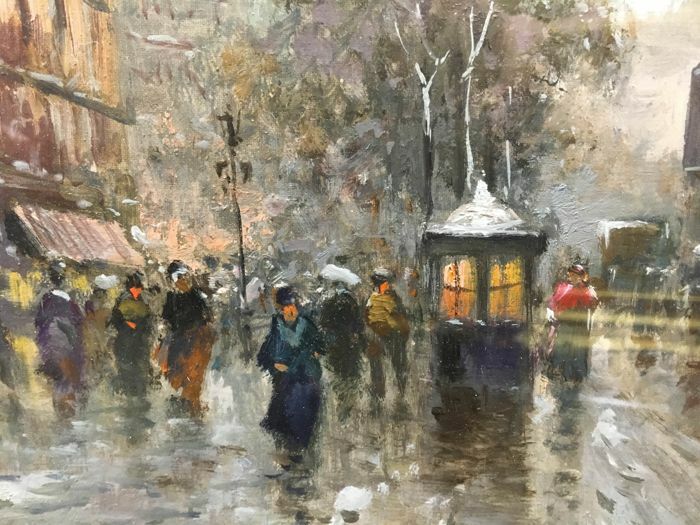 Painting size: 24 x 30 cm. 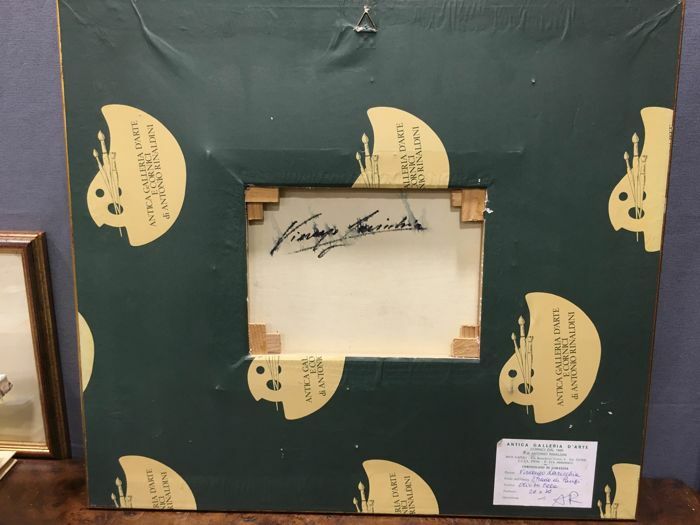 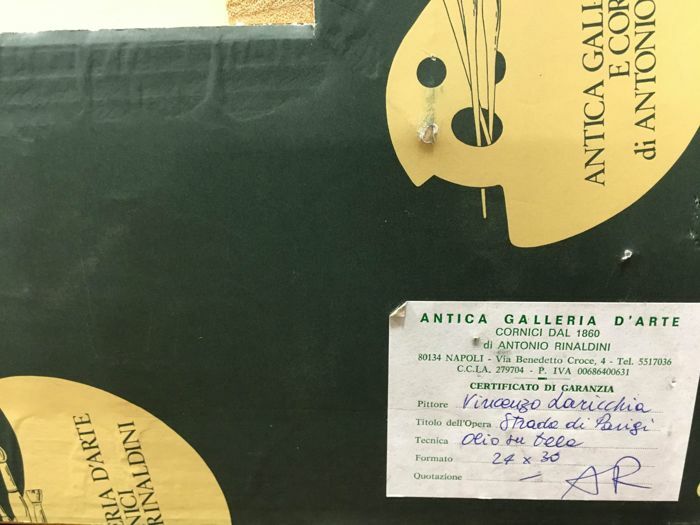 Certification on back of the gallery where it was purchased.